We pride ourselves on the quality of our food and friendly helpful staff. We have a high number of regular customers which speaks for itself. 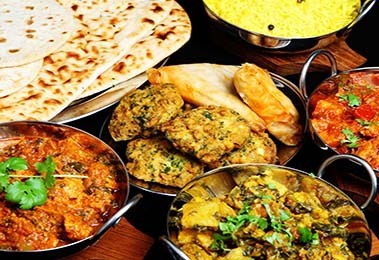 New Lahore offers an exceptional variety and the highest quality of Indian cuisine! We bring together, the best dishes from the Indian sub-continent, cooked by our team of top chefs. We are passionate about great food and we want you to enjoy the highest quality and the most delicious authentic dishes. At New Lahore you can enjoy Biriyani, Balti, Chef special dishes, Prawns, Korahi special, Persian, vegetable dishes and many more! Our sensational food is rivalled by only one thing; our dedication to serving up an impeccable customer experience for you. We have a free home delivery service for your convenience and always aim to get your food to you as soon as possible so you can enjoy your delicious food while it's still hot. Take a look at our menu and see what takes your fancy!